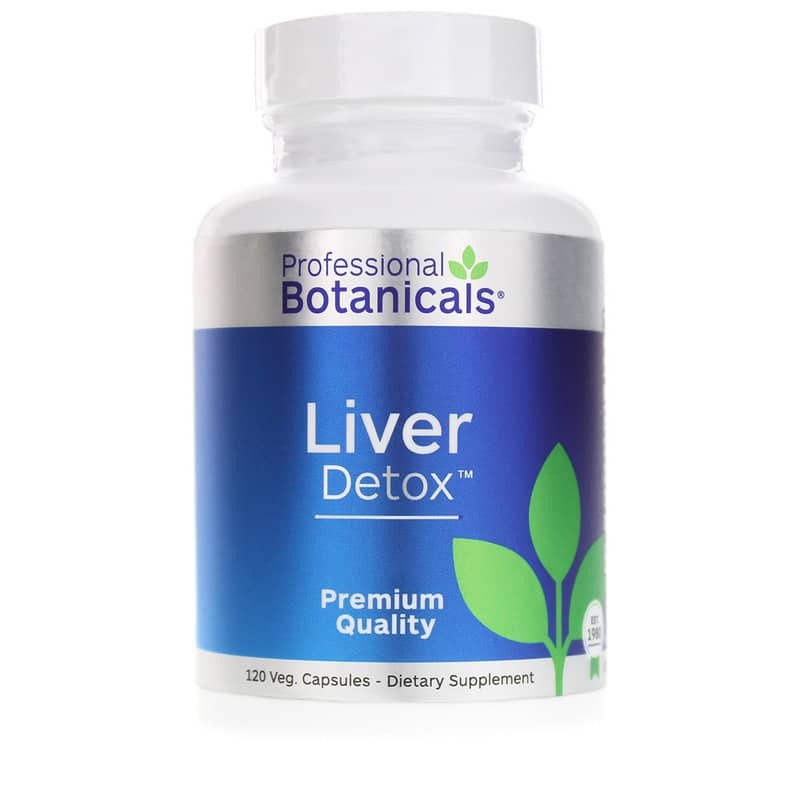 Liver Detox from Professional Botanicals seeks to support overall liver health and function. One of the largest organs in the body, the liver carries out a number of metabolic functions, including the conversion of nutrients to useful substances, and the conversion of toxic substances to harmless ones. The liver also seeks to maintain normal blood sugar levels and produces bile. However, to maintain normal liver function, you may consider a supplement to promote detoxification and offer additional support. 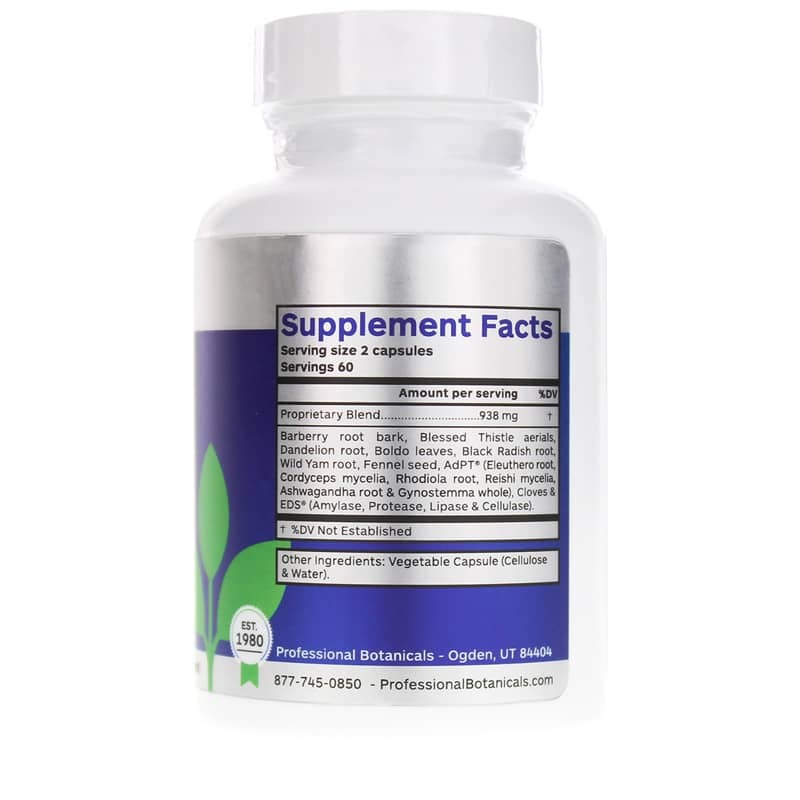 This supplement contains herbal extracts to support liver health such as barberry root bark, blessed thistle, dandelion root, boldo leaves, black radish seed, wild yam root, fennel seed, and cloves. It also includes the digestive enzymes protease, amylase, lipase, and cellulase. These enzymes support the breakdown of nutrients, and also support overall digestive system and liver health. These ingredients also seek to support detoxification. 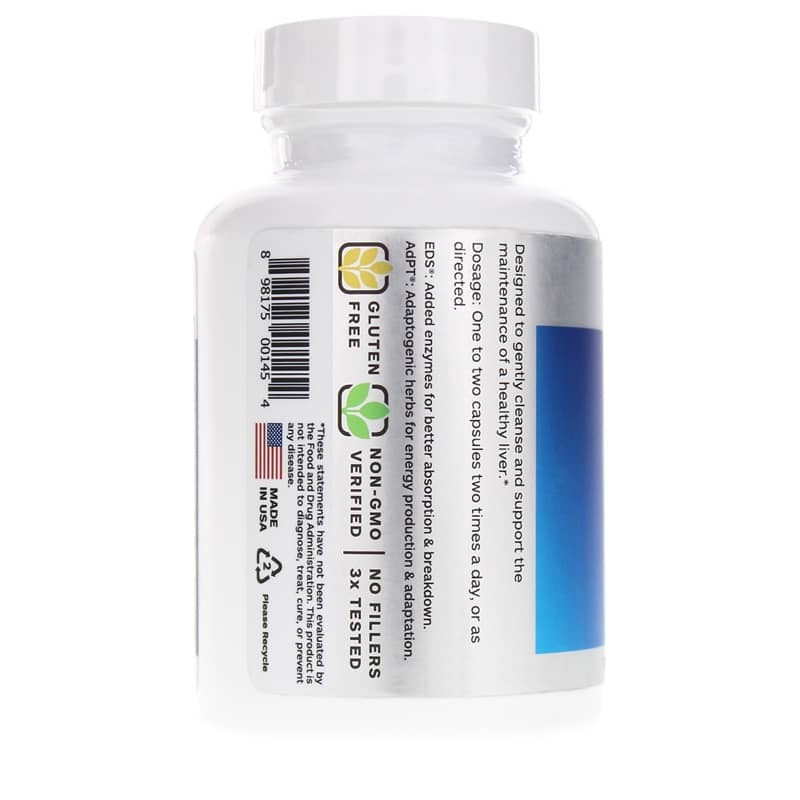 If you’re looking for a supplement that supports detoxification and promotes overall liver health, try Liver Detox from Professional Botanicals and see if it makes a difference to your health! ---Barberry root bark, Blessed Thistle aerials, Dandelion root, Boldo leaves, Black Radish root, Wild Yam root, Fennel seed, AdPT (Eleuthero root, Cordyceps mycelia, Rhodiola root, Reishi mycelia, Ashwagandha root and Gynostemma whole), Cloves and EDS (Amylase, Protease, Lipase and Cellulase). Adults: Take 1 to 2 capsules two times a day or as recommended by a healthcare professional.